Transitioning from student life at campus to a corporate one can be extremely challenging. When students are in their final year they have dreams of a corner office; a brand new car; laptop, and the works. The reality, however, is that there are more takers than jobs. Based on that, after graduation, they have gone to a hundred job interviews to nail one job of their preference. Moreover, even if they do get a job, they must strive hard to keep it. Little advice is available for them to fathom the endeavor involved in getting a job. In our competitive world, HR is looking for a handful of people who are a cut above the rest and a graduate needs to be in this top game. 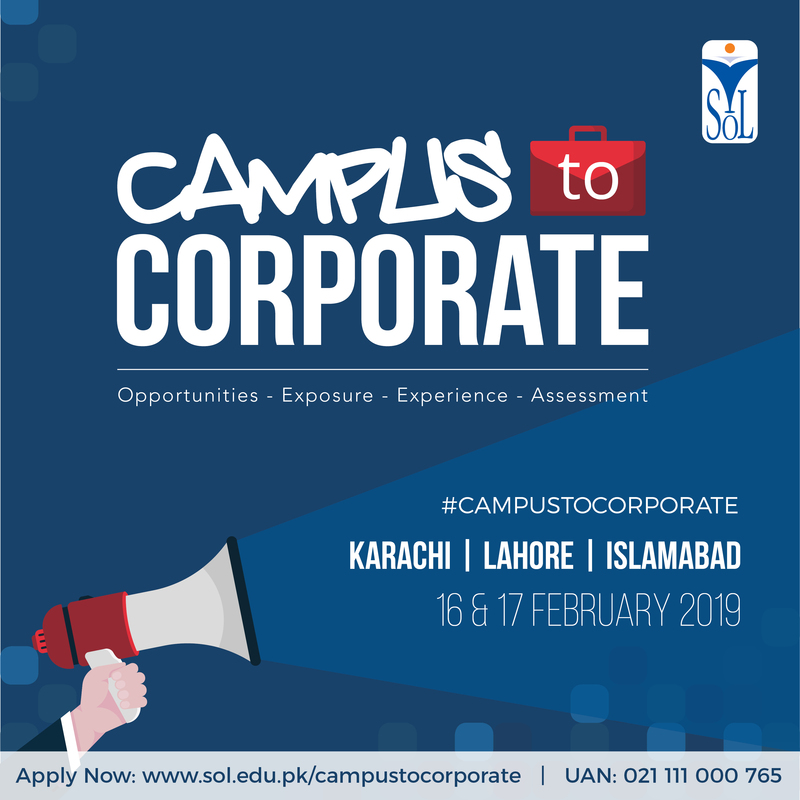 Campus to Corporate is a two-day training program designed for people about to step into the real world. Backed by research, this program aims to arm students with practical and experiential knowledge of how to identify which career they wish to pursue that matches their aptitude; how to filter through the immense opportunities in the job market to suit their purpose; how to write effective CV’s and application letters and what makes a job interview memorable and inspiring, how to create a customized LinkedIn Profile, in addition to corporate exposure and an assessment of where the student stands in front of the employer. These skills will give them the confidence to boldly go out in the market to seek their career goals. At the end of the day, we aim to align the campus mindset with the corporate mindset. To enable students to transition from student life to corporate life. Investment for the program is PKR 3,000. The investment includes all session materials, activities, facilitation, assessments, meals, refreshments, and certification.